Currently on exhibit at The American Textile History Museum in Lowell, MA. 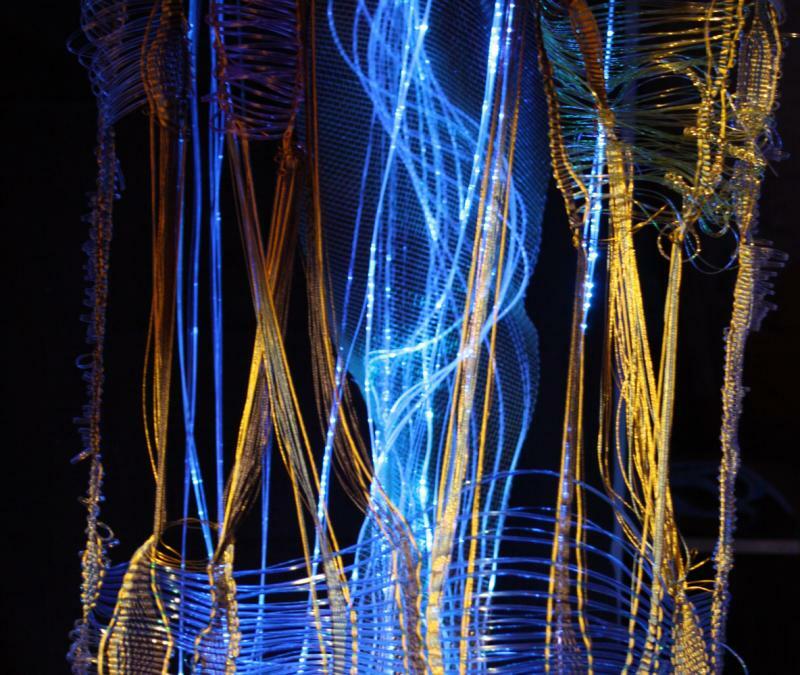 April 9, 2016, Angled Light in Woven Forms, lecture, discusses the history of fiber-optics and a personal journy to use fiber optics as a visual expressive element in my artwork. Followed by a mini-workshop, LEDs in Fabric. Learning simple circuits to create a LED patch. 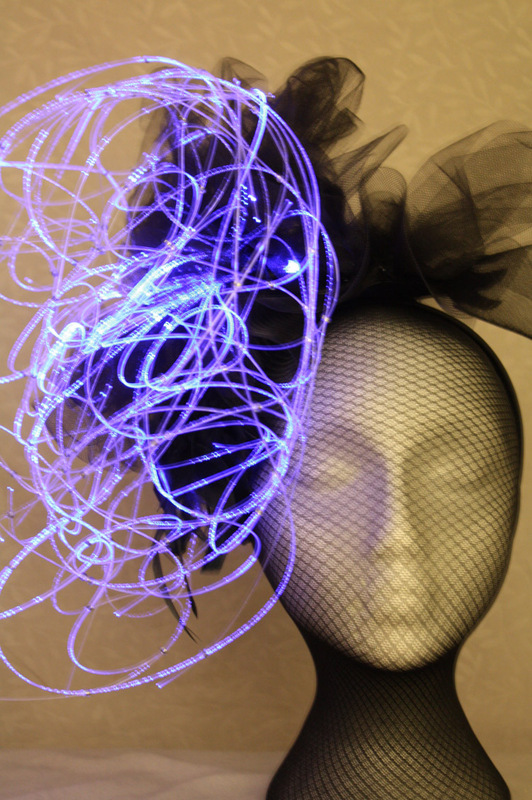 April 10, 2016 "Illuminating Fascinators" :A full day workshop resulting in a beautiful Fascinator Party Hat that lights up too! April 11-12, 2016, "Weaving with Fibers of Light", learn to use fiber optics as a weaving material embedded within a fabric structure.